Ever wondered why certain flavors "work" together? Or why a smell or taste can conjure up a powerful memory? Explore the art & science of flavor with craft beer guru Randy Mosher at a one-of-a-kind beer dinner experience on Wednesday April 10th, hosted by Chicago's Forbidden Root Brewery and Denver's own Citizen Rail at the Kimpton Hotel Born. 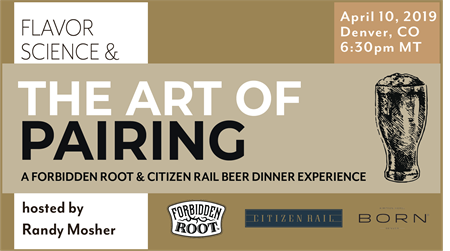 Guests will enjoy four paired courses with food by Citizen Rail's Executive Chef Christian Graves and beer by Forbidden Root. A lively discussion surrounding the depths of food & beer pairing by Randy Mosher will guide the night. 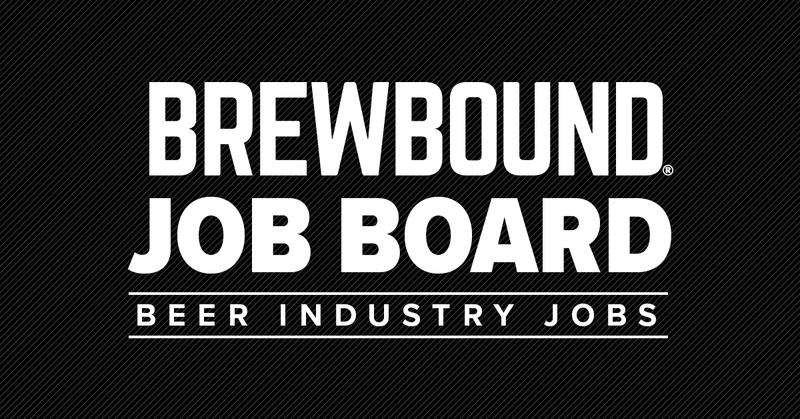 The teams at Forbidden Root and Citizen Rail are thrilled to come together to craft this beer dinner, and would invite anyone interested in flavor, food & beer pairing, or creating unique beer experiences to attend! meals and experiences that suit every occasion. Forbidden Root is a botanically-inspired craft brewery in the heart of Chicago, Illinois. Relentless in their pursuit of flavor, they use creative techniques, brewing expertise and methodical design to hand craft inventive beers that thrill modern palates.